I remember the first time I used coconut oil; the whole kitchen was filled with a fragrant aroma that reminded me of the tropics. After learning it was a healthier alternative to traditional cooking oil—not to mention a great source of the good-for-you saturated fat—I was hooked. Coconut oil is an ideal baking substitute because of its resistance to high temperatures (along with a few other choice oils as well). In your local supermarket, there are usually two different versions: refined coconut oil is odorless and tasteless, whereas unrefined (or virgin) has a strong scent and a distinctive coconut flavor. For baking, it is a personal preference whether you prefer to have natural coconut flavor in your dessert or not. The most important thing to remember is that coconut oil can be substituted in a 1:1 ratio for unsalted butter in any baking recipe. For even more accuracy, we suggest using a weight measurement as opposed to a volumetric measurement. The following recipes are great examples of ways you can substitute coconut oil while enjoying its health benefits—and at the same time improving on the flavor of the original. The hardest part about cookies (for me) is that it's nearly impossible to stop at just one. 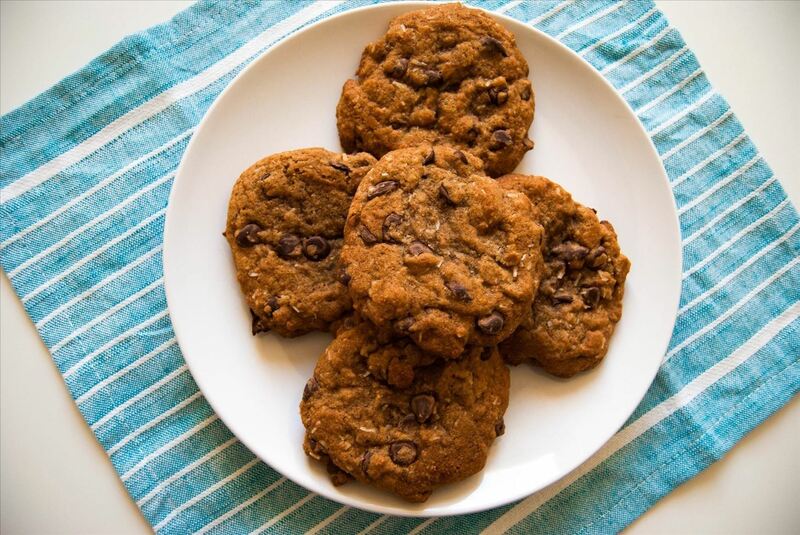 Substituting unrefined coconut oil for butter allows the rich flavor of the chocolate chip cookie to stand out, but without the added calories; adding some coconut flakes to the mix helps elevate this classic cookie even further. For a healthier version that uses both whole wheat flour and coconut oil, this recipe from Annalise from Completely Delicious is worth checking out. 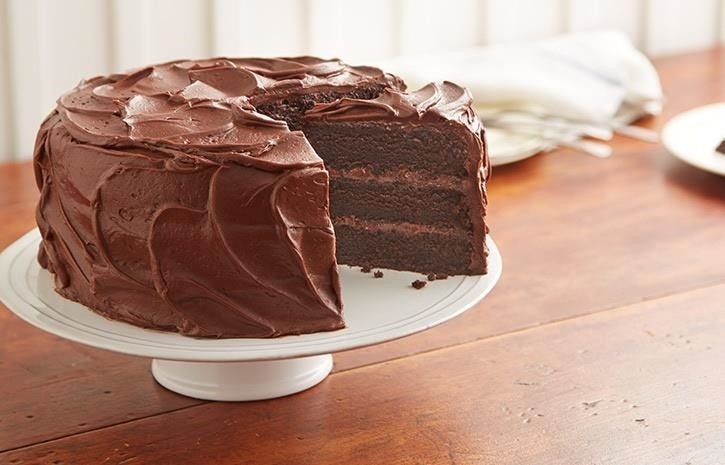 This is definitely one of the more decadent treats of the dessert world—thankfully, substituting coconut oil can help create a healthier version of chocolate cake without sacrificing its richness or flavor. Using coconut oil instead of butter also allows those with dairy allergies to indulge in this not-to-miss dessert. For a vegan chocolate cake that does not skimp on the rich chocolate flavor (while at the same time maintaining an airy interior), try this easy recipe by Dana from Minimalist Baker. A perfect treat to serve at your next party that will definitely impress your guests! For chocolate lovers who prefer their cocoa in a more compact form, coconut oil brownies are where it's at. Adding unrefined coconut oil to brownies allows a rich chocolate flavor with hints of coconut and, best of all, allows them to be super moist. 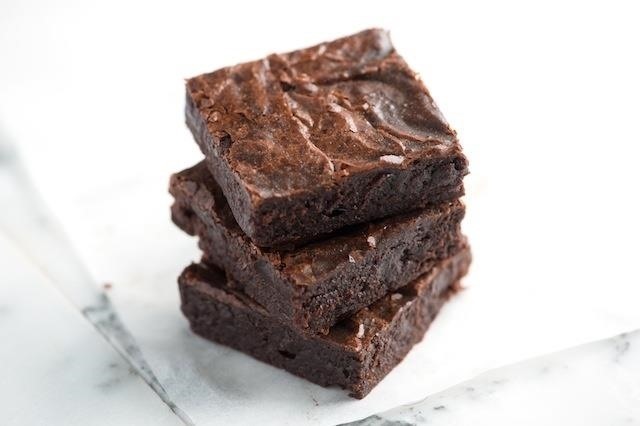 This recipe by Tessa from Handle the Heat is the perfect solution to incredibly rich brownies that utilize coconut oil well. After one bite, there will be no going back! Coconut oil is not only a natural fit with chocolate-based desserts, but also for slightly tart treats like lemon poppy seed muffins. The coconut oil allows for a moist interior, without being overly oily that is often the result from using butter. To avoid an overwhelming coconut flavor, this is a dessert that benefits from refined coconut oil. A delicious recipe that will make you a coconut oil convert is by Dana from the Minimalist Baker. 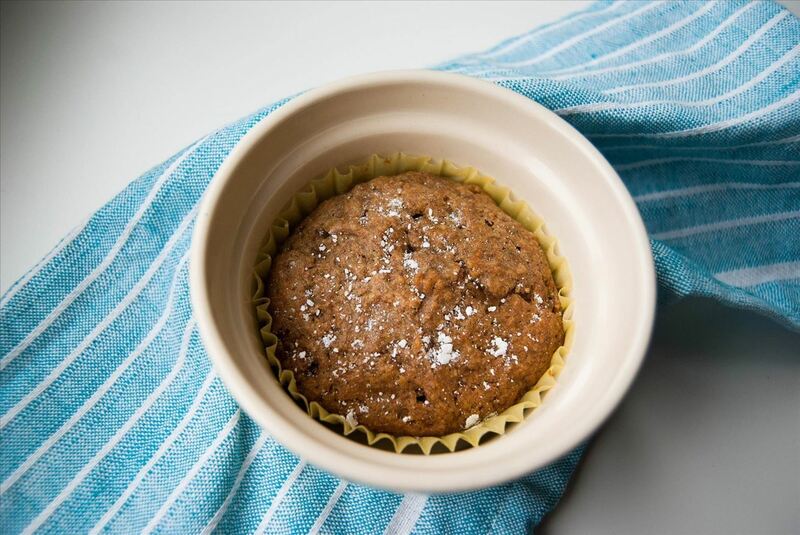 For those wanting a healthier treat, using coconut oil for banana bread is the way to indulge yourself without feeling like you need to run a marathon afterward. Traditional recipes require whole sticks of butter, but substituting coconut oil is a much healthier way to treat yourself without the lingering feeling of a calorie overload. 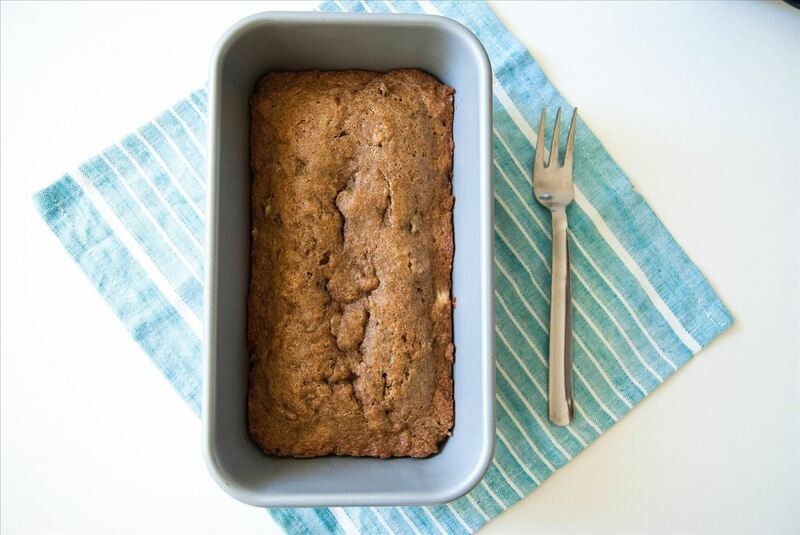 This banana bread recipe by Kate from Cookie + Kate is too delicious to pass up—and it's unbelievable that it's made with coconut oil, whole wheat flour and honey substitutes, because it tastes so darn delicious! Coconut oil can be a bit intimidating at first, but once you recognize the health benefits and realize that it is a great substitute for butter or oil, your baked goods won't be the same without it.